Keenan Excavating Co. has the staff and equipment to turn your commercial property into the accessible, attractive business you want it to be. 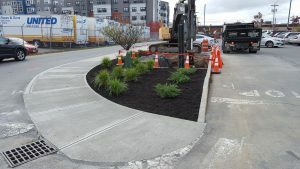 In addition to handling any of your site work needs, we repair and install sidewalks, install and expand parking lots, and prepare your site and foundation for a building addition. 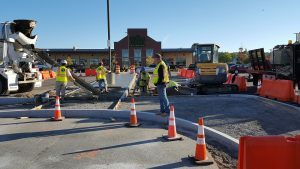 Whether your building needs an addition or expanded parking, or you have a new development to go in, we specialize in providing the best excavating and site work services on small to mid-sized commercial site work projects.